A thumb splint is used temporarily to immobilize the thumb in emergency or first aid cases. This is in contrary of a more permanent thumb cast. Thumb spica splint is used for the same temporary purpose, but usually for more severe thumb injuries. What is spica in thumb spica? The term ‘spica’ (pronouced: spike-car) refers to a type of bandage or cast that wraps the affected body part in overlapping opposite spirals. Of course, thumb spica today is not really a bandage or cast anymore. However, in a thumb spica splint, you can always expect similar type of fabric-material straps or velcro that wraps your thumb. There are also wrist braces that feature a thumb spica splint. This means that the wrist brace also has support or opening to hold the thumb. In fact, a thumb spica splint today is more commonly available as part of a wrist brace. 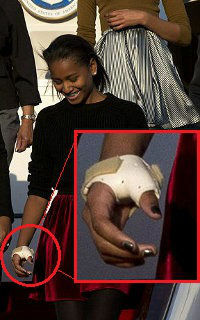 Non-cast type of thumb spica splints are more commonly used in emergency cases as they are easier to put on and remove. Cast type splints are used in condition when the thumb requires longer healing time and it is necessary to firmly brace the thumb to let it rest.